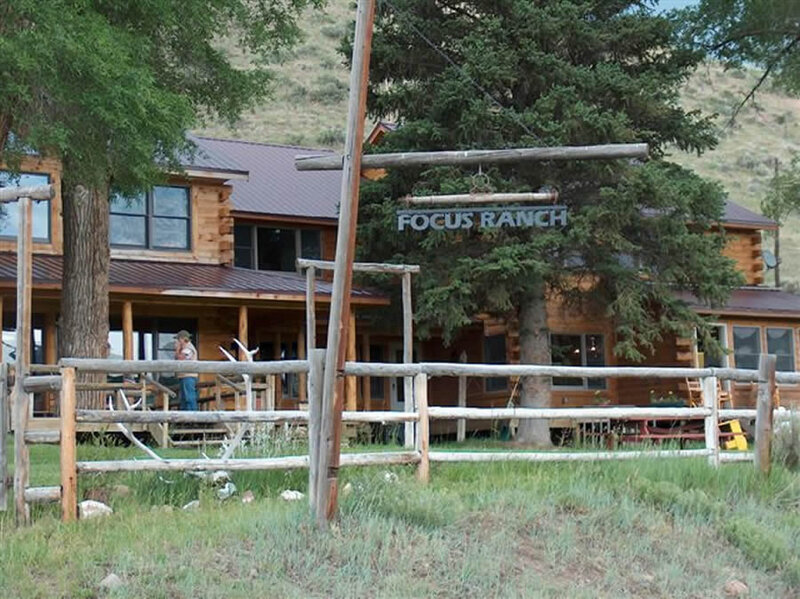 Focus Ranch was homesteaded in the 1890’s and until 2001, the original house hosted many visitors. 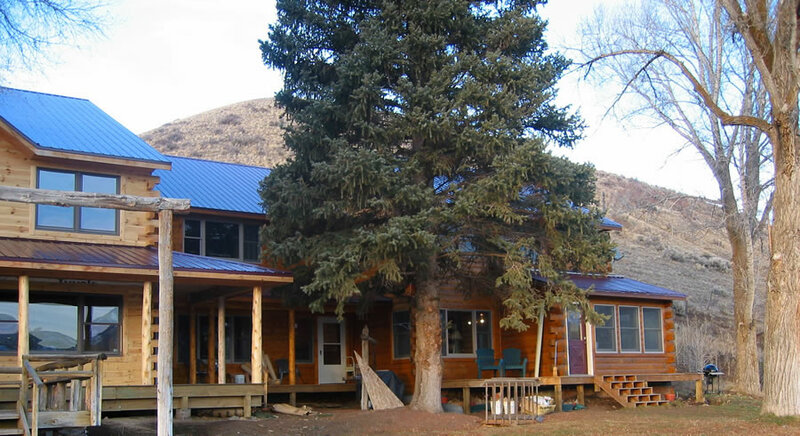 After years of patching, painting and room overhauls, the cost of maintaining structural integrity outweighed the benefits. 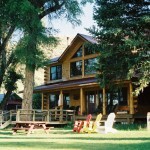 In 2002, work began on replacing the old log house with a new 4000 square foot lodge, also log. 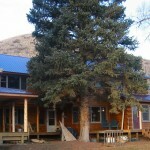 The construction was completed in 2003 and the front doors were opened to guests that spring. 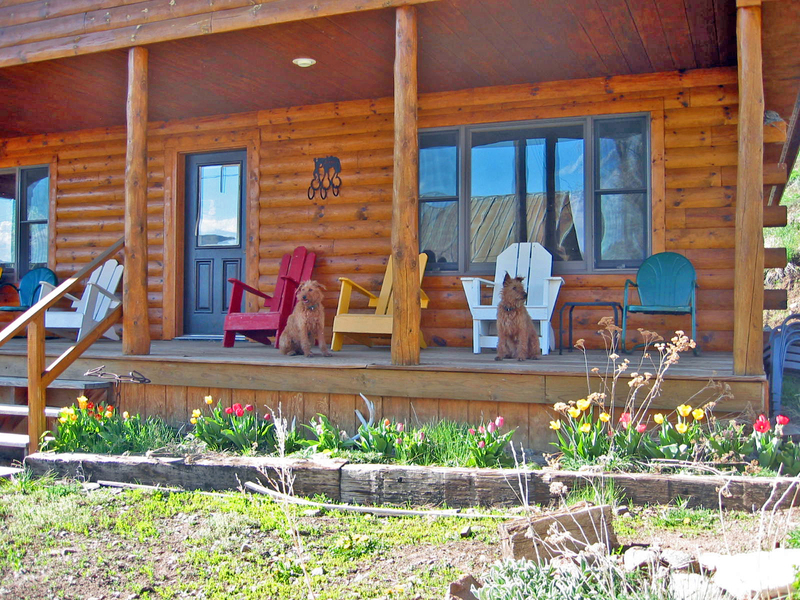 The Ranch House downstairs is open and spacious. 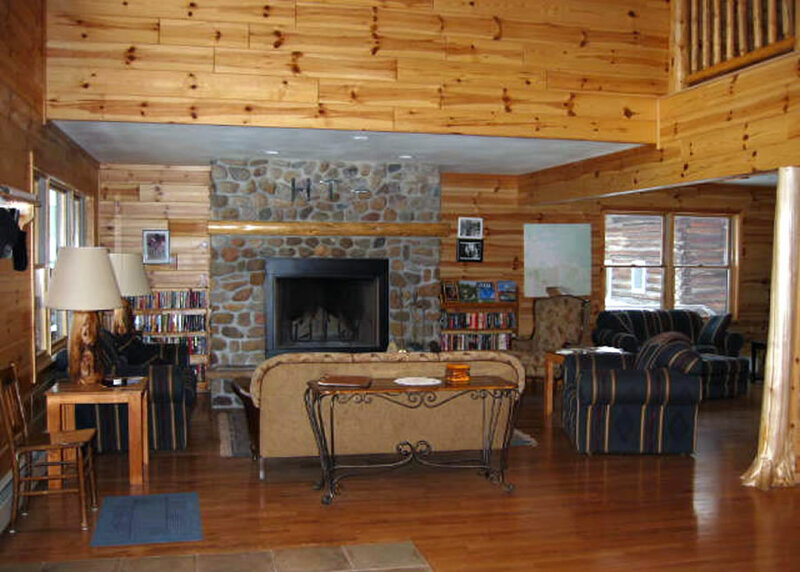 The living room with fireplace is on one side and the dining area, that accommodates approximately 30 people or more for reunions and meetings, is on the opposite side. 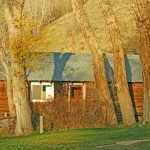 It is open at all times. Coffee and hot water for tea and cocoa are available throughout the day. 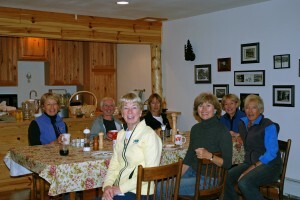 A piano attracts many to play a tune and often-local talent provides the evening entertainment. 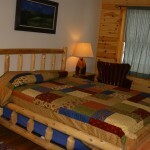 The Ranch House has 3 spacious guest rooms offering views of the Little Snake River and mountains. 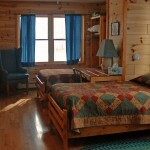 All rooms have hardwood floors, pine walls and tiled bathrooms. 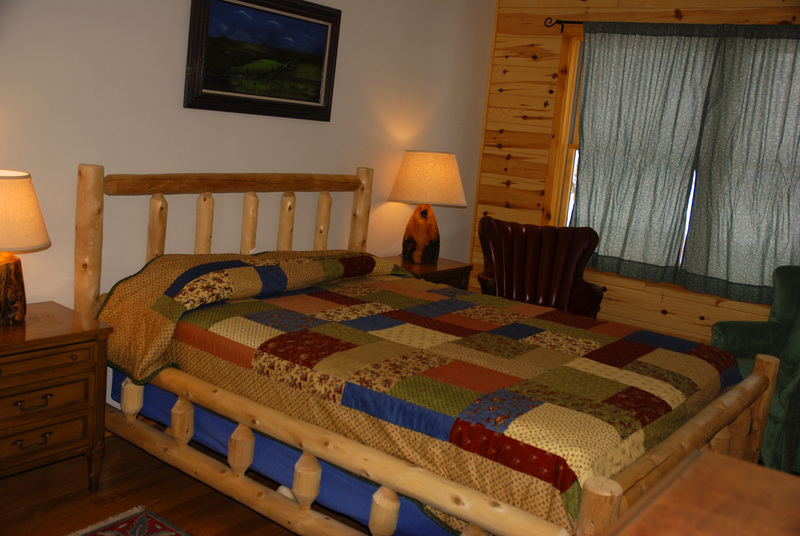 The beds are either queen or twin. 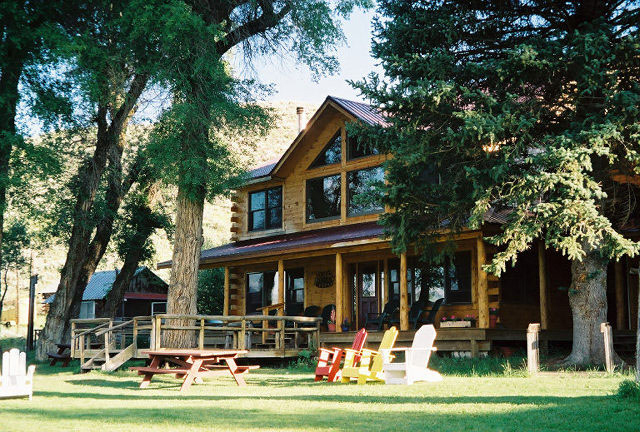 Singles, couples or families can stay here and feel like it’s an ideal home away from home. 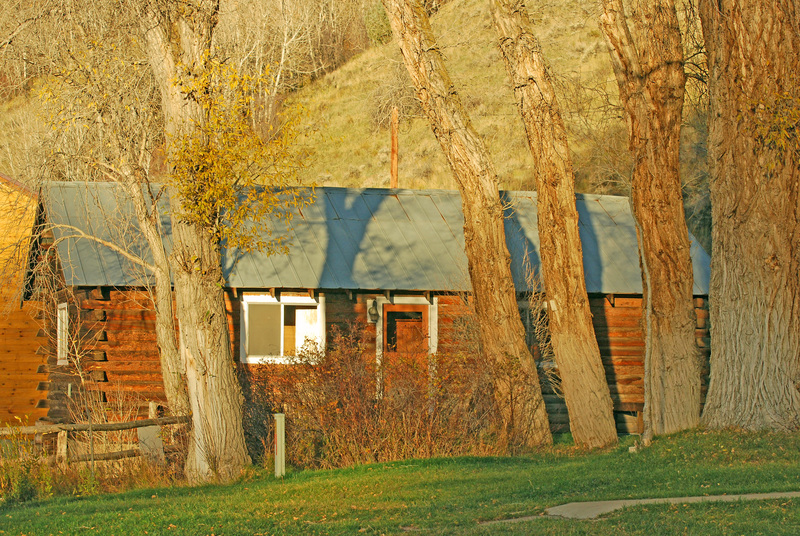 The Guest Cabins are situated close to the lodge at the perimeter of the yard. The newest Ripple Cabin was completed in 2003. 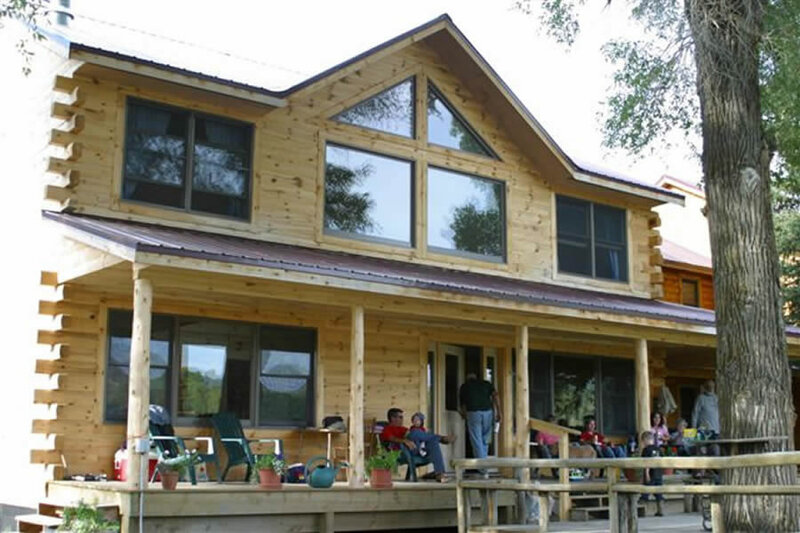 The cabins have the same floor plan – a common entrance that leads to 2 separate sides. 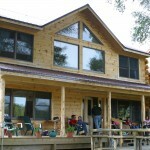 Each side has its own bathroom. 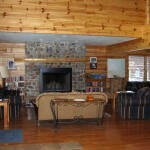 The cabins were designed this way to accommodate either 2 private parties or a family. 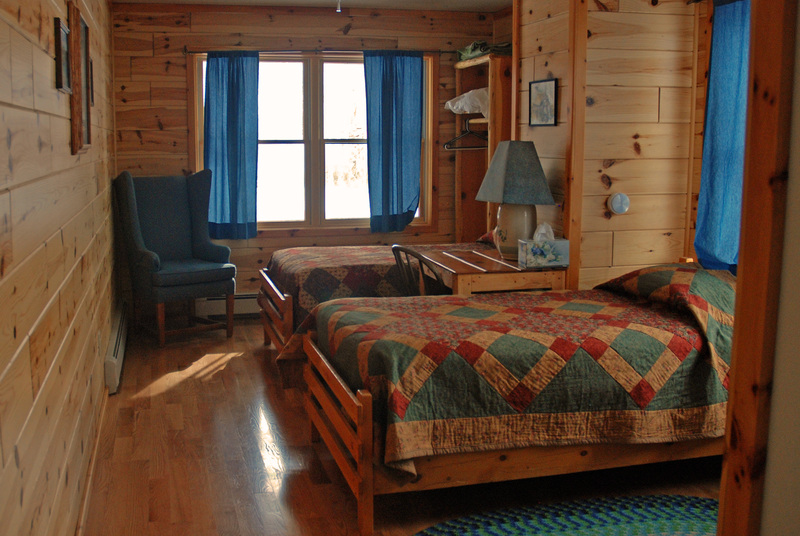 There are both queen and twin beds.The Ripple Cabin is the largest and can sleep 6 to 8 people in 1 group or 2 groups of smaller size. 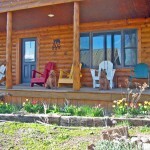 Each cabin has a deck and provides great views of the ranch. 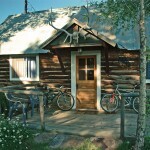 Refrigerators are available in the cabins. 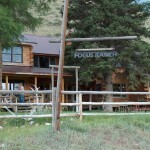 The Focus Ranch meals are home-cooked, whole-some and meant to satisfy the hungry appetite. Our breads and pastries are freshly baked. The menu has variety to meet a variety of tastes. 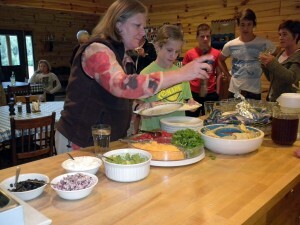 We prepare well-balanced meals, much like you would see at a family style restaurant and serve these meals buffet style. Fresh fruits and vegetables add to the quality. 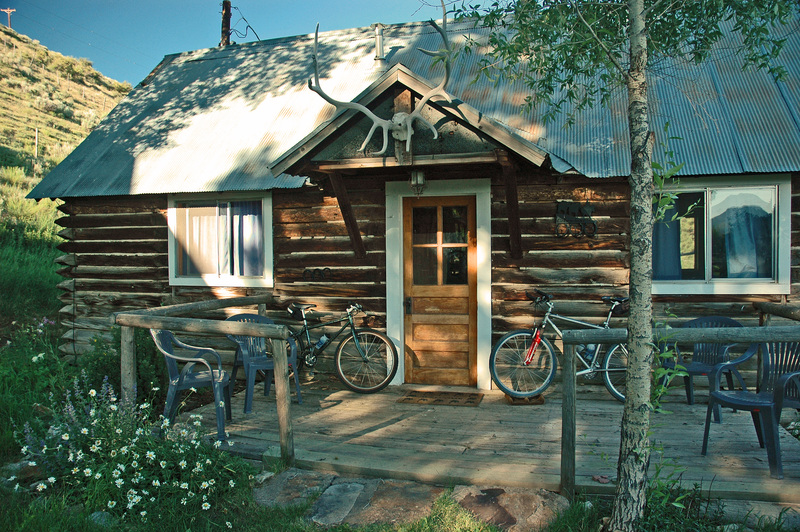 We can provide for most dietary needs with advance notice. 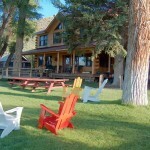 Our smaller guest capacity allows us to tailor the weekly meal plan to the guests. 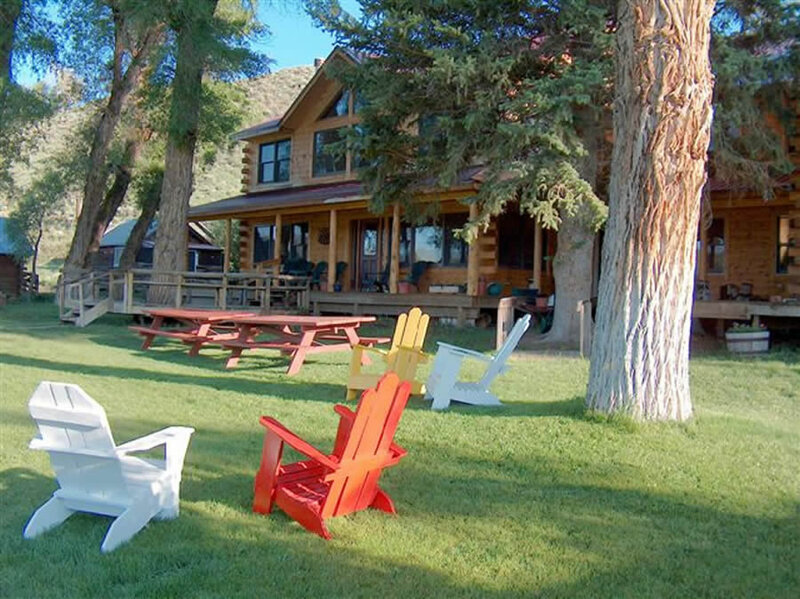 Meals, with some exceptions, are on a schedule: 7:30 a.m., 12:30 p.m. and 7:00 p.m. For those who will be gone for the day fishing, riding, hiking or whatever, we provide a hearty sack lunch. 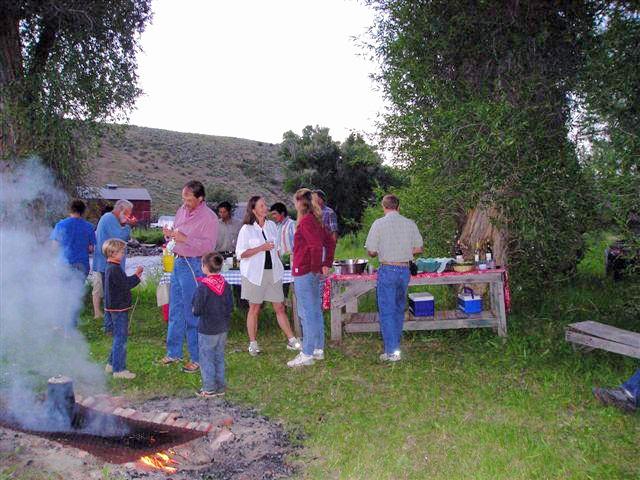 The cook-out across the Little Snake River on Saturday night puts the finishing touch on the week’s stay.